Hydrocarbon refrigerants are increasingly being used in small refrigeration equipment. Over the next decade it is possible that most domestic refrigerators, refrigerated display cabinets and refrigerated vending machines will shift to hydrocarbon refrigerant. These uses all have a small charge size and can be deployed in hermetically sealed applications, making refrigerant leaks far less likely. 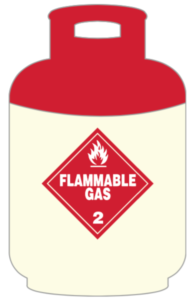 The uses fit the profile of hydrocarbons, which are refrigerant class A3, meaning they are highly flammable. While there are some attempts to use hydrocarbons in air-conditioning and larger equipment, it is not yet clear whether these uses will occur or not in meaningful size in Australia. Hydrocarbons also have a very low global warming potential of four to eight times that of carbon dioxide. Examples of hydrocarbon refrigerants include R290 (propane), R600 (butane) and R600a (isobutane). All six future:gas presentations as delivered during the Brisbane seminar in July 2017 are now online, with access available for just $10 accompanied by a SlideShare of the presentation slides. Be the first to know about future:gas stationary seminars! All future:gas seminar venues confirmed! Copyright © 2019 future:gas. All rights reserved.